The Next Norwich AlleyCat will be on Wednesday 28th of December 2016 at 1.45pm for a 2.00 pm start at St George's Green, opposite the Norwich Playhouse, with the now customary Café social in the Playhouse bar/patio afterwards (child friendly). This Norwich AlleyCat will consist of the usual format of 10 (easy to solve) clues, 8 unmanned checkpoints and 2 or 4 photo tasks. Norwich AlleyCat is a social cycling activity open to all; ride as a solo individual, pair, trio, family, team, group etc. Please just turn up and join in the fun. 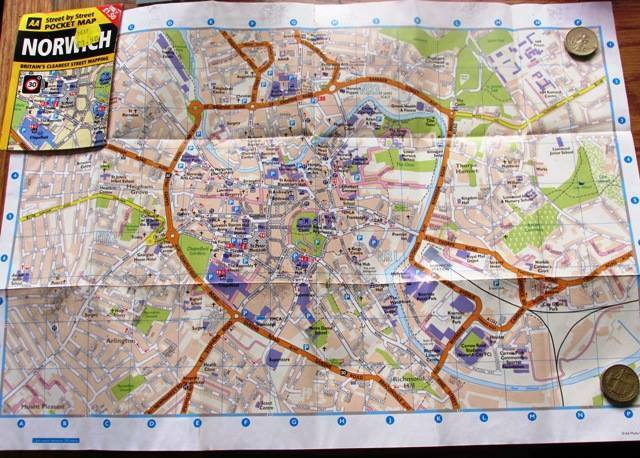 A map or an A2Z of Norwich may come in handy, so will a sense of direction, knowing your right from left, and having a sense of humour may also help.